We are a family owned, Australian company with an entire range of natural and gentle products that are made with effective ingredients and no gimmicks. 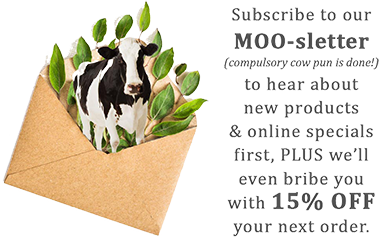 All MooGoo's products are designed to keep the skin or scalp moist, supple and using high quality, natural ingredients. We might not have words like "Earth", "Nature" or "Enviro" in our name, but we are one of the most environmentally friendly skin care companies around. What can make sensitive skin worse?